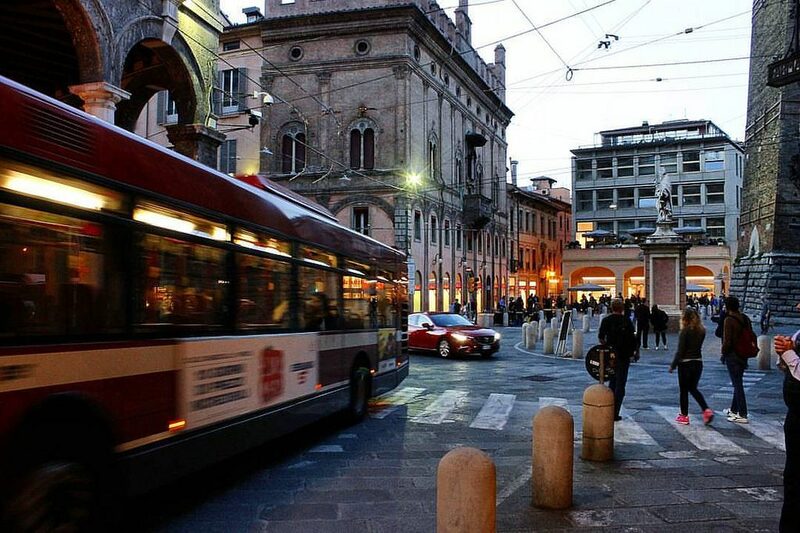 10 reasons why Italian public transport makes you a better person - BOLOGNAM! All of the following pieces of knowledge were acquired thanks to my first working year in Italy and everyday tiring and time-consuming back-and-forth travelling. Since I spent my entire childhood and youth by commuting to school and first part-time jobs from the Eastern Slovak countryside, I was pretty much used to trains and buses on a daily basis and didn’t really expect anything surprising about the public transport. As usual, Italy convinced me of the opposite. After the first (and the second) experience with TPER buses I reaaaally tried my best to eliminate any possibility of public transport mingling with my life here. Unfortunately, I didn’t have a car, nor the driving licence and cycling to the end of the world twice a day in 35°C didn’t seem legit either. There was no other choice than acceptance, so my brain started a typical defensive strategy of whispering “it could always be worse” mantra or threatening “be glad, you’re in the North of Italy”! In winter 2016, Moovit survey on Italian best and worst public transport infrastructure was published and proclaimed good news for the Northern Italy. It said only 31% of Bolognese people spend less than 30 minutes onboard, whilst one of the two Bolognese reaches the terminal station without any change to other line. The backslide cities appeared to be Roma and Naples. As a Roman, you’d wait approximately 20 minutes for the bus Fata Morgana behind the corner, whereas in Naples 56% of passengers spend 27 minutes waiting. If you live to see the firebird, you will understand what endorphines are for. So, how all of this can possibly make you a better person? Beneficial effects of Italian public transport on your well-being. Your immune system boosts to the resilience of a global nature: the amount of farts, burps and sneezes of the distinct ethnic origins brushing against you in a single bus ride guarantee you the natural inoculation AF. Every single morning you find yourself thinking of Beckett. Then you finally get what he wrote about. You get rid of agoraphobia, claustrophobia and other social trepidations. You learn other swearwords than just cazzo. When feeling indignant, expressing your opinions out loud has never been more assertive than in the vehicle full of your pubertal students. Your vernacular Italian vocab magnifies!!! You catch yourself daily listening to foreign conversations and phone calls, guessing the dialect and subsequently faking it in front of your bathroom mirror. Keeping in shape was never easier due to Italian drivers constantly overlooking your bus stop. Despite the request stop bell. You become literally a forceful person. Comes in useful when queuing for a coffee. Just kiddin’. Italians don’t queue. Your muscles turns ThomShank. Even those involuntary ones. Because sitting and standing are both relative when the driver is Italian. Did I mention a contribution to the healthy environment? Conclusion: As soon as you spot your bus being late only 15 minutes (‘cos schedules are truly orientational), you start sobbing as if you had a steak after three days of hunger strike and give thanks to the Flying Spaghetti Monster for today there’s no public transport strike and you’re gonna be late only 15 minutes to work. Spitted, trampled down, having the unidentified bodily fluids on your coat, but happy you made it. You are not the same person as the one getting on the Devil’s vehicle. How did Dante put it? Purgatorio?